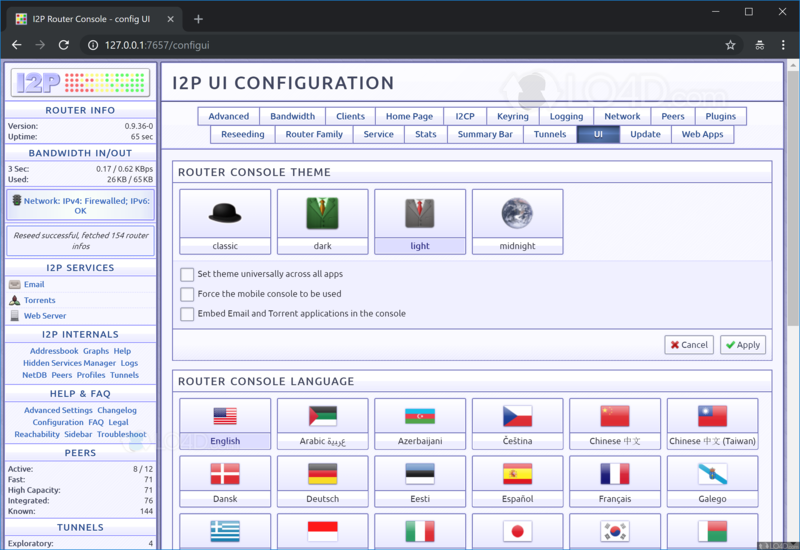 I2P is a freeware network communication app filed under anonymous proxy software and made available by I2P Team for Windows. 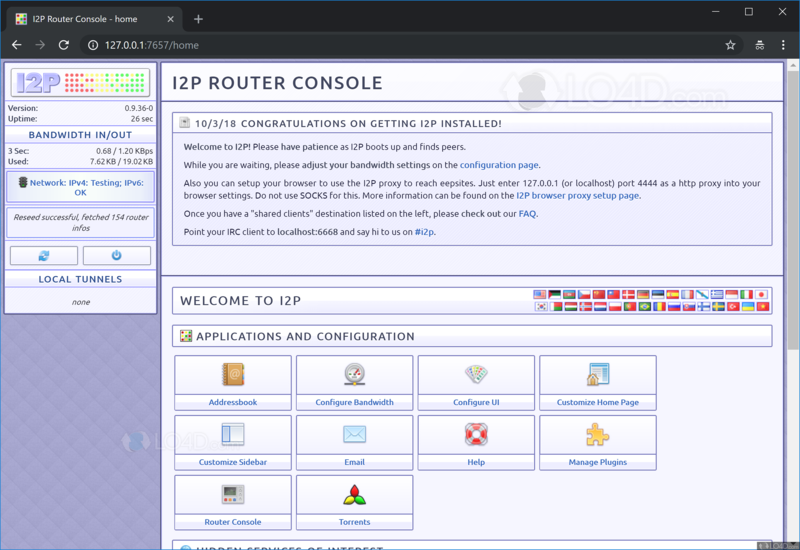 The review for I2P has not been completed yet, but it was tested by an editor here on a PC and a list of features has been compiled; see below. If you would like to submit a review of this software download, we welcome your input and encourage you to submit us something! I2P is an anonymous network, exposing a simple layer that applications can use to anonymously and securely send messages to each other. All communication is end to end encrypted (in total there are four layers of encryption used when sending a message), and even the end points ("destinations") are cryptographic identifiers (essentially a pair of public keys). 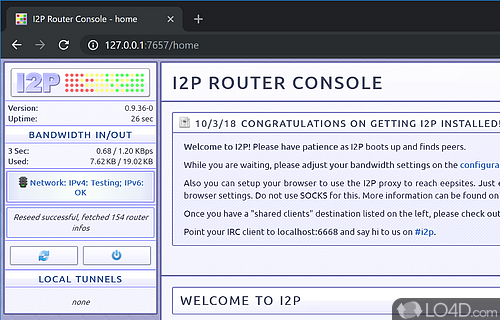 To hide the sent messages, each client application has their I2P "router" build a few inbound and outbound "tunnels" - a sequence of peers that pass messages in one direction (to and from the client, respectively). In turn, when a client wants to send a message to another client, the client passes that message out one of their outbound tunnels targeting one of the other client's inbound tunnels, eventually reaching the destination. Every participant in the network chooses the length of these tunnels, and in doing so, makes a tradeoff between anonymity, latency, and throughput according to their own needs. I2P can hide your true IP address and circumvent state censorship. 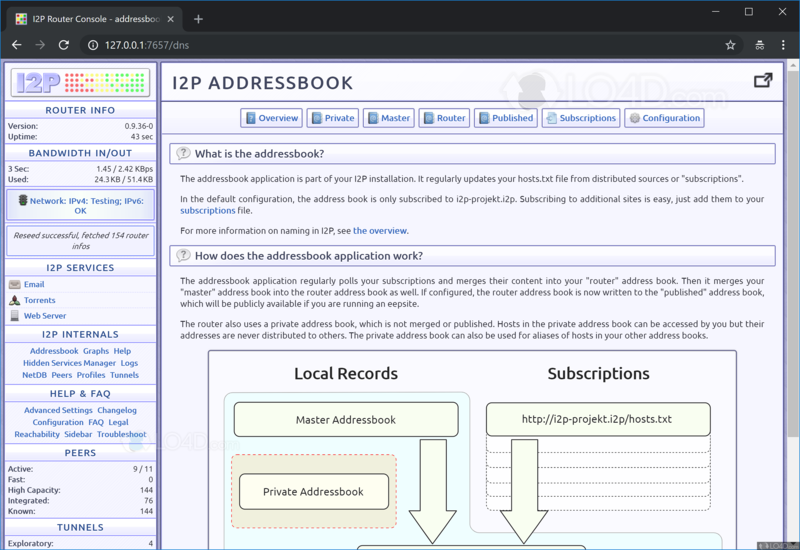 I2P is licensed as freeware for the Windows (32-bit and 64-bit) operating system / platform from anonymous proxy software without restrictions. 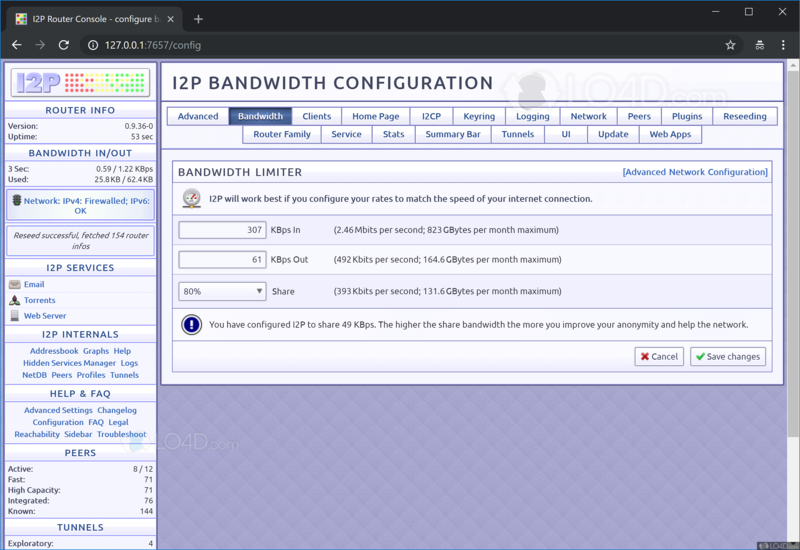 I2P 0.9.39 is available to all software users as a free download (Freeware). Compatibility with this network communication software may vary, but will generally run fine under Microsoft Windows 10, 8, 8.1, 7, Vista and XP on either a 32-bit or 64-bit setup. A separate x64 version may be available from I2P Team. This download is distributed as i2pinstall_0.9.39_windows.exe. We have tested I2P 0.9.39 against malware with several different programs. We certify that this program is clean of viruses, malware and trojans.